The Mighty No. 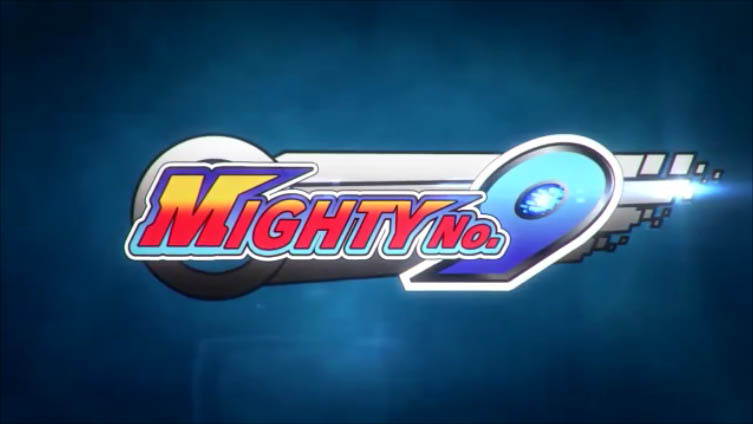 9 is a 2D action platformer and is in the same style as Mega Man and the Mega Man X series. 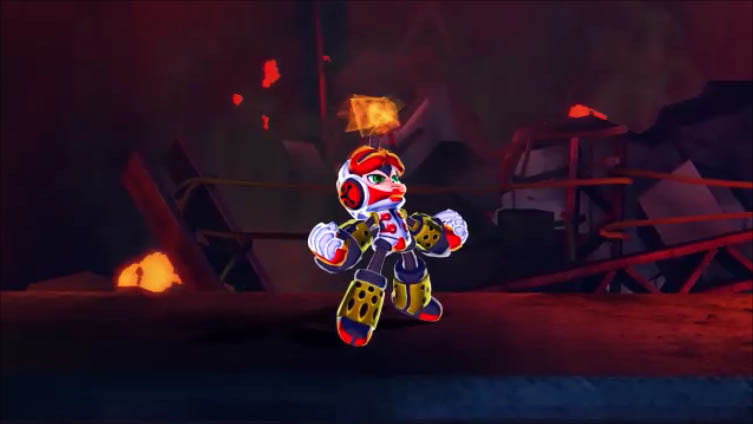 It has a lot in common with Mega Man because game designer Keiji Inafune worked on the Mega Man series is one of the people behind Mighty No 9. Despite the concept coming from video game royalty Mighty No. 9 had some hits but it also has some really big misses. The way the story starts out might also seem like something else you may remember. Robots designed to help have been reprogramed by some sort of virus. These 8 robots have taken over sections of the city. Beck the 9th robot has been set to find out what has happen to his brothers & sisters plus stop the virus. Mighty No. 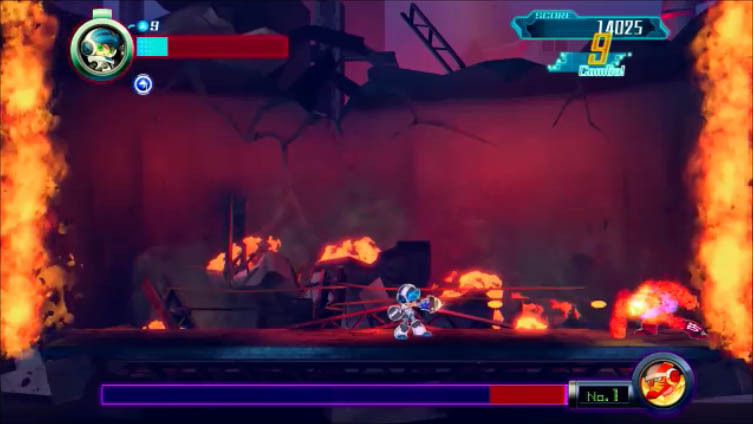 9 gameplay is set up exactly like the Mega Man games and that is a good thing. You can decide what levels you want to play in any order and if you get stuck or get to the end and lose then decide to just try another level you can make that change at any time. Each boss you defeat gives you a upgrade that is the weakness for another boss and several times while you are playing other levels the other robots that you removed the virus from their systems will show up in other to help you. This little thing of seeing a boss you already defeated lets you know if you have the weapon that you need to make the levels final boss easier. The power ups themselves are great too alot of detail went into them. We liked that you can get better at each level. It not a matter of luck or timing it is a matter of practice. Each time we struggled we figured out a few things about each section and then were able to get through to the end. There is however way too many one hit kills, none of it fun and takes a lot of trial and error to figure out what you did wrong. Getting better each time also applies to the bosses but there are several bosses where we had to get the weapon that was their weakness before we could take them out. Despite getting better as you play more there are serious things that just don’t work. 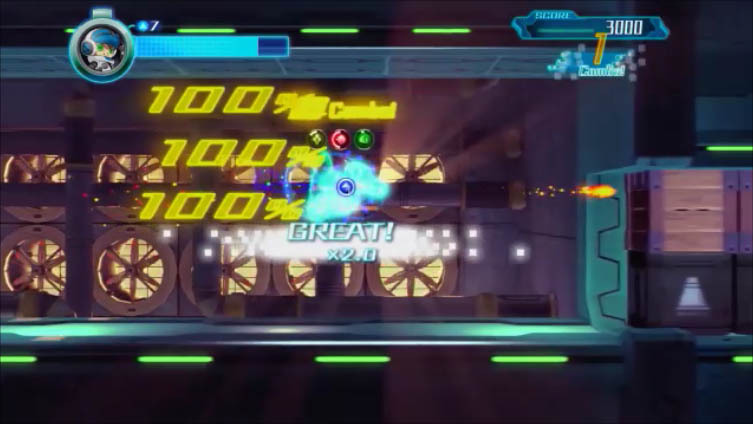 The controls are to slow to respond, the camera at times does not keep up with you and we had frame rate problems with the Wii U version of the game. None of the enemies drop health and there is almost no heal anywhere. And out biggest issue load screens, the load screens take longer than most PlayStation 2 games. Many times you are just waiting to change something in the options menu or make a small change like that and you are just waiting and waiting and waiting. It made us stop playing at times and we hate that, it one of the worst things a game can do. Mighty No. 9 had extremely high expectations from the start. Not just because of the Mega Man lineage but it was delayed several times in order to fix the problems that did not seem to get fixed. It took us about 7 hours to get through but on replay that number drops, once you figure things out it goes by a lot faster. There is also nothing extra to find. There is no armor to find, no energy packs and no power up attacks. There is only the power ups you get from defeating bosses. We do like the plot and story but it is a direct rip off of Mega Man. The controls, camera issues and load screens destroy any momentum the game builds but we did at least like how all of the other robots show up in other levels and they are all over the place in the insanely long but mostly fun final level. Mighty No. 9 is worth paying $9.99 or under for and if it goes on sale under $2.99 it is a MUST BUY PRICE! There is also One hit mode, Boss fighting mode and an Online Racing mode but they just feel like filler. We just wish they would have focused on the game and not wasted there time on the other modes.